There is a lot of talk about meditation as being an essential practice to cultivate overall wellness. But meditation is not just a way to cope with stress and seek inner knowledge. It literally has the potential to literally transform the world. By transform the world, I don’t just mean transform individuals who meditate. When large numbers of people get together and meditate at the same time, it has an energetic ripple effect on the consciousness of the surrounding people. People who aren’t even meditating are impacted by the effects of the meditators. Let’s look at some of the scientific studies that prove this to be the case. In 1978, what is known as the “Maharishi Effect” took place when a group of 7000 individuals over the course of 3 weeks were meditating in hopes of positively effecting the surrounding city. They were able to literally transform the collective energy of the city which reduced global crime rates, violence, and casualties during the times of their meditation by an average of 16%. People who were not even meditating and had no idea that this experiment was even happening were being an impacted by such a degree that it caused a statistical change in their behaviour. Suicide rates and automobile accidents also were reduced with all variables accounted for. 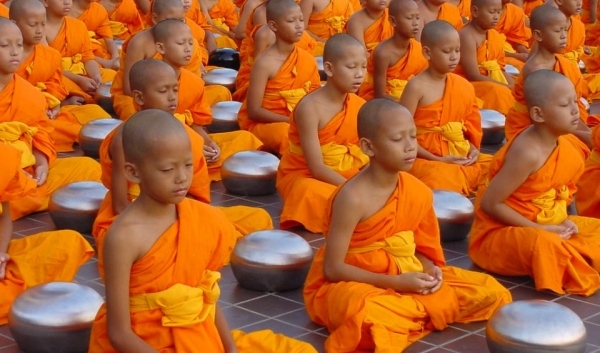 In fact, there was a 72% reduction in terrorist activity during the times at which this group was meditation. There were 255,000 less crimes in Merseyside from 1988 to 1992 than would have been expected had Merseyside continued to follow the national crime trend. Demographic changes, economic variables, police practice, and other factors could not account for the changes. Almost 50 studies have been done further confirming the benefits of global meditation and it’s direct impact on everything in the world, with another study being published in Social Indicators Research which showed an overall violent crime rate drop by 15% when 4000 participants participated in group meditation. We know meditation has endless health and psychological benefits, but it is now being explored by politics and sociology because of its undeniable impact on the behaviour of other people. The secret of the Global Maharishi Effect is the phenomenon known to Physics as the ‘Field Effect’, the effect of coherence and positivity produced from the field of infinite correlation—the self-referral field of least excitation of consciousness—the field of Transcendental Consciousness, which is basic to creation and permeates all life everywhere. Meditation takes your consciousness to the implicate levels of existence where your intentions have consequential effects on the explicate level that we interact with before it even manifests. Consciousness gives rise to the material. The key idea is that all of existence emanates out of a field of universal consciousness, called the Unified Field or Super String Field. Simply put, consciousness is a fundamental property of the universe, and since all levels of reality arise out of consciousness, all levels of reality are affected by the frequency of vibration of the superstrings within this field of consciousness.